The Stuff of Legend! : King Arthur. Legends are a unique piece of folklore. A legend, by definition, is a folk story that draws on historic people or events in some way. We often find them mixed in with our fairy tales, but they’re really not the same thing. Even if it’s an old legend that has lost much of its sense of history, I still find that legends have a greater sense of place and time than fairy tales do. It is because of this and various other reasons that I thought that legends are more than deserving enough for their own feature on my blog. 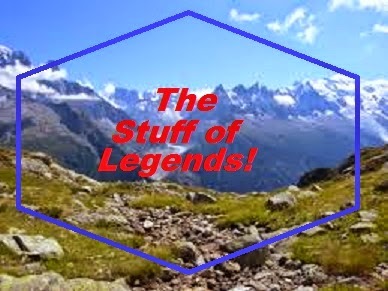 So, welcome to The Stuff of Legends! This is a limited series for this blog, much like The Swan Lake Project was, only over a longer period of time. I have chosen twelve legends or legendary figures. I’m going to research the historical roots of these tales and the forms they take. I can’t promise there will be a new installment every month, seeing as these take a while to research. However, I will try to get these posted at a fairly good pace. Anyway, I thought I’d start off strong and post about the most popular legend in all the Western world: King Arthur! Now, most of my information comes from a book titled King Arthur: Hero and Legend by Richard Barber. I don’t know if it’s the most recent source on this subject, but it does do a good job of explaining the evolution of the legend with a very readable prose style. So, check your local library for it if you feel so inclined. Now the first references to Arthur come in Welsh records of their battles with the Saxons. The Saxons were a confederation of Germanic tribes whose homeland was on the North German Plain. The Saxons had been attempting to invade the British Isles since some time in the late third century. When Roman soldiers and Roman rule withdrew from Britain, the English and Welsh chieftains were left to handle the Saxon problem on their own. This seems to be where Arthur comes in, not as a king but as a commander in battle. 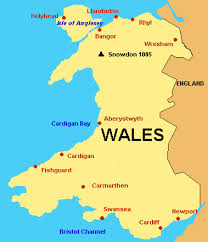 The Welsh text Historia Brittonum said this “Then in those days Arthur fought against them with the kings of the Britons, but he was a commander in those battles.” The text then gives a list of about twelve battles that Arthur took part in. Other than a brief mention in Annales Cambriae (which translates as the Annals of Wales) and a few verses from scattered Welsh poems, there isn’t much else to draw from. Even some of the more reliable historical chroniclers of the early Middle Ages didn’t mention him. Of course, there’s also the fact that there were so few sources to draw from. The sense of history among the Britons practically disappeared for a time following the withdrawl of Roman forces. However, if he did exist, it’s plainly clear that he must have been some sort of battle commander in charge of Celtic forces, specifically those from what is now Wales. The Welsh actually have their own set of legends surrounding Arthur and I’ll provide a link to them right HERE. The legend, however, would go on. The development of the Arthur legend and his role as king would start in Welsh poetry around the ninth to eleventh centuries. Arthur appears in The Spoils of Annwfn as the leader of a war band and in the Black Book of Carmarthen, there is practically a roll-call of heroes who are supposedly his followers. It was in the story of Culhwch and Olwen that we start to see the Knights of the Round Table as they would eventually be, including mention of the character Cei (known in future works as Sir Kay). However, it is much later with Geoffrey of Monmouth that the legend started to take a modern shape. 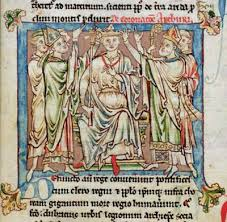 Geoffrey’s book The History of the Kings of Britain would focus extensively on Arthur. Here, Arthur is transformed into a conquering king in the mold of Charlemagne. He also adds such well known characters like Guinevere, Merlin and Mordred to the legend. Now, while this book was accepted as a genuine history for a long time, it’s far more likely that he was trying to write some sort of national epic for the Briton people. There is so much more to the development of this legend, but I fear I can’t transcribe a 200 page book in the space of a blog post. Perhaps I’ll just give the Cliffs Notes version from here. Based on Geoffery of Monmouth’s work, various writers write works on Arthur. 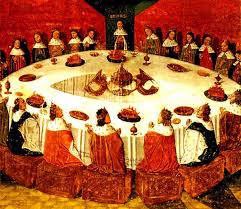 It is in these works that we start to see concepts like the actual Round Table start to appear. The stories of Arthur would be carried across the sea to France where they would become the subject of various French romances. While the earlier Celtic sources provided such characters as Arthur, Guinevere, Merlin, Bedivere, Gawain, Ywain, Kay and Mordred, the French writers would add their own characters such as Lancelot, Galahad, Bors, Gareth and Perceval. It was under the French writers that elements of chivalry and courtly love started to becomes incorporated. It’s a French writer named Chretien de Troyes who first writes of Lancelot’s courtly love for Guinevere in a book entitled Le Chevalier de la Charrette (the Knight of the Cart). He also is the first writer to involve the Holy Grail in his romance Le Conte du Graal (The History of the Grail). 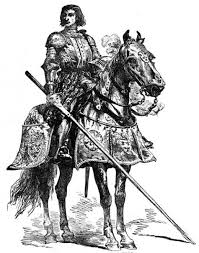 Interestingly, though these days we associate this tale largely with Sir Galahad, it’s Sir Perceval who is the central figure in early Grail stories. Perceval himself is depicted as something of a foolish, naïve figure that attains some degree of spiritual enlightenment through his quest. The French writers are also the ones who first brought the ancient story of Tristan and Iseult into the Arthurian legends. Among the French writers, it was Robert de Boron who linked all the myriad works together in a very long, sweeping work known as the Vulgate Cycle. It was the Vulgate Cycle that first incorporated the love between Lancelot and Guinevere as a crucial part of Camelot’s downfall. The stories of Arthur and his court would be popular in many parts of Europe. However, back in the British Isles, the English would take their own approach to the stories. Arthur and his knights start to take on the character of folk tale heroes, appearing in largely unconnected stories and poems and dealing with various elements of the magic and the supernatural. 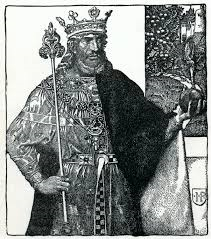 The English also found a most unlikely hero in the form of Sir Gawain. Gawain was often listed as being among Arthur’s earliest followers. However, the French writers often depicted him in a somewhat negative light. He was considered to have great skill in battle but was often shown to be discourteous, brutish and offensively sexual. Under English pens, he was the very figure of knighthood. Stories like the tale of “Sir Gawain and the Green Knight” and “Sir Gawain and Dame Ragnell” are the legacy of the English poets. Now, while the Vulgate Cycle first ties the stories together, the length of the work made it almost unwieldy. It was in England in the mid-fifteenth century that Sir Thomas Malory created his Le Morte D’Arthur which welded the stories together in a more readable form. Malory is himself a rather enigmatic figure. There are four people with the name Thomas Malory living in that time period, and all but one of them are possible authors of this work. Now, Le Morte D’Arthur is not without it’s flaws. For one thing, Malory seems unusually favorable to the character of Sir Lancelot. However, it is still from this work that all future works on King Arthur are in some way derived. Now, it would probably be folly to try and list all the ways in which the Legend of King Arthur has appeared in popular culture. However, a few high lights and low lights are not beyond reason. In terms of literature, a personal favorite is The Once and Future King by T.H. White. White expands on Arthur’s youth in the section entitled The Sword in the Stone, which would later inspire a Disney movie of the same name. He also includes such interesting additions as an ugly and single-minded version of Lancelot and a Merlin who can prophecy because he can remember the future, seeing as he lives backwards in time. In the world of satire, there is A Connecticut Yankee in King Arthur’s Court by Mark Twain. In this version, Camelot’s downfall is brought on by the meddlings of a time traveler who tries to modernize Arthur’s court. There are also films such as John Boorman’s Excalibur which derives a great deal from Malory and Antoine Fuqua’s 2004 King Arthur which attempted a more historical tone and managed variable levels of success. In terms of comedy, there’s Monty Python and the Holy Grail. The BBC provided its own version of the Arthurian legends by way of teen drama with the show Merlin. One notable video game title is Knights of the Round by Capcom. And since I can’t seem to write a post on pop culture without mentioning the strange cartoons I watched in my youth, I’d be remiss not to mention King Arthur and the Knights of Justice. The plot basically goes that King Arthur and his knights are trapped in a magic cave by Morgana and unable to defend Camelot. So, Merlin recruits a football team called the Knights complete with a quarterback named Arthur King from the future to stand in for Arthur and his knights to defend Camelot from a made-for-TV villain named Lord Viper. No, I’m not kidding you, that is the actual plot. The end result is like a strange Connecticut Yankee in King Arthur’s Court meets He-Man kind of dynamic. Oh well, at least the theme song was awesome. The popularity of this legend as a source for popular culture cannot be denied. Just recently, the season finale of TNT’s The Librarians drew extensively on the legend of King Arthur. After reading all this, it seems apparent to me that much of the legend’s popularity comes from its malleability. What started as a vague account of a Welsh military leader was reshaped in various ways to be everything from fairy tale to religious allegory to adventure story to tragedy and beyond. As the legend became solidified in recent centuries following Malory’s book, the tale of Camelot became one of the heights that the human will can reach to. Camelot was meant to be sort of a paradise of the West. However, the tale is a warning that nothing gold lasts forever. Even Camelot falls and it’s the human failings of key figures that bring it low. It’s Guinevere’s infidelity with Lancelot and Arthur’s illegitimate son Mordred that lead to Camelot’s fall. Anyway, despite who the real Arthur may have been and what form of the legend you take, King Arthur and his knights certainly are The Stuff of Legends! 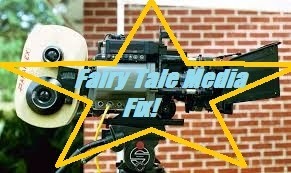 Fairy Tale Media Fix: Fairy Musketeer Akazukin. Well, I suppose we can consider this post to be something of a sister post to the one from last week. Last week, I talked about a slightly older Japanese property based around fairy tales that was aimed at boys. This time, I’m going to spotlight a slightly older Japanese fairy tale property for girls. First, some background information on the genre I’ll be talking about. It’s become something of a known fact that many young girls like entertainment that features girls with magical powers. Here in the US we’re a little slow to realize this, but I think most people figured it out when every girl between the ages of 3 and 12 went absolutely crazy over Elsa from Disney’s Frozen. However, in Japan, they’ve known this for a long time. In fact, there’s even a whole genre of manga and anime based around the idea called (quite fittingly) the “magical girl genre”. Magical girl shows and comics usually focus on a young girl or group of girls who have magical powers that they use to fight monsters and protect the world and such. Some of them have transformations and love story subplots. Some do not. In essence, they’re kind of like superhero stories with a frillier, girlier edge. Some examples of the genre include Sailor Moon, Tokyo Mew Mew, Cardcaptor Sakura and Princess Tutu. Now, does it come as any surprise that someone would take this genre and adapt fairy tales to it? Of course not! This is where Fairy Musketeer Akazukin comes in. Just to note, I am mixing both English and Japanese titles here, because that’s what the version of this anime I first saw did. Completely in Japanese, it would be Otogi Jushi Akazukin. Completely in English, it would be Fairy Musketeer Red Riding Hood. Also, I could not find any decent pictures that were free to use. However, to see all the pictures I cannot post, just click HERE. The story focuses on a 14-year old boy named Souta as its viewpoint character. Souta is a bit of a kind, gentle dreamer who lives with his father. His mother disappeared long ago under mysterious circumstances. Before she disappeared though, she told Souta a fairy tale about a man who conquered the forces of both science and magic. As he became more powerful, he grew lazy and conceited. This caused God to get angry and split the man’s power and the whole world in two. Souta, along with the help of his childhood friend Ringo, has been searching for a copy of that story for as long as he can remember. One day, while searching for the story, Souta gets attacked by a monstrous spider. He’s then saved by a girl in a red helmet and her talking wolf friend. These are Akazukin (Red Riding Hood) and Val. Souta quickly learns that she comes from the world of magic Phandavale and that he is the key to the world of science called Erde. The key to Erde is needed by the evil witch Cendrillon (Cinderella) to reunite the worlds of science and magic. From there, the adventure begins. Other principle characters appear. Akazukin’s fellow “Fairy Musketeers” include Shirayukihime (Snow White) and Ibarahime (Briar Rose). They also find an ally in the Phandavale leaf knight Hameln (The Pied Piper of Hamelin). On Cendrillon’s side though, are Hansel, his sister Gretel, Randagio (kind of a cross between Puss in Boots and the cat from The Bremen Town Musicians) and a mysterious sorceress named Trude (based on the obscure Grimm tale “Frau Trude”). Overall, the series is cute, fun, harmless and . . . strangely addictive. After I started watching it, I found I had to watch it all to the end. The series also picks up a lot when the group actually travels to Phandavale towards the second half of the series. Like I said regarding MAR, this show also embraces its share of anime tropes. There are the requisite weird monsters and girls calling magic out of the air with some sort of magical device (in this case, the “sweet phone”). However, it does keep the transformation scenes to a minimum, just due to the nature of the plot. In this one the magical girls don’t have to transform into something magical because they’re already from a world of magic. I also have to give them props for basing their villain on Cinderella. I’ve seen so many respun fairy tales that have made characters like Jack, Peter Pan or Prince Charming into villains. It’s nice to see someone spice it up (note: is it just me or does it seem more common to villainize the male characters than the female characters?). Also, I give them major respect for drawing on the ultra-obscure “Frau Trude”. That’s one I had to look up. So, final analysis is that Fairy Musketeer Akazukin is nothing spectacular. Altogether, it’s just a harmless but fun kids’ anime. 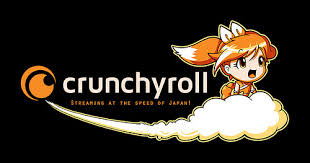 If you want to watch the series, you can find it at the online anime streaming site Crunchyroll. Just click HERE. 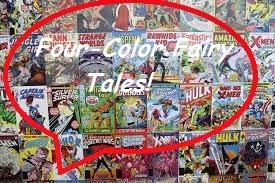 Four Color Fairy Tales: MAR. In this great, big beautiful blogosphere of ours, it’s not always easy to get a second chance. This can especially be the case when it comes to reviewing things. Books, DVDs and comics can all go out of print and be very hard to find again. This was the case for me with a manga series entitled MAR (Note, the original manga actually has an umlaut over the A, which means it’s pronounced like “mare”). MAR is a shonen manga that was written and drawn by manga artist Nobuyuki Anzai. The letters in MAR are actually an abbreviation of the words “Marchen Awakens Romance” as well as just a reference to the word “marchen” (and I’m sure we all know that marchen is German for fairy tale). When this series was first published in the US, I picked up the first issue because I knew it was fairy tale related. I read the first volume, thought it was nothing remarkable and then moved on to a different series. 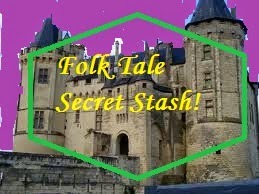 However, years later, having now started a fairy tale blog, I got the sudden urge to give it another chance. Just my luck, it was out of print and none of the local libraries had it. However, one day I happen upon a fantasy book and game store that I had passed by a million times and never been into (Flights of Fantasy in Albany, New York) and decided to check it out. What do I find there, but a number of volumes of MAR just waiting for me to review them. So, I can finally get that second chance. The story of MAR focuses on a 14-year old boy named Ginta Toramizu. Ginta seems to have all sorts of first world problems (which I’m sure seem like a big deal to a 14-year old from Tokyo). He’s nearsighted, bad at sports, a poor student and he’s short (honestly, the only real problem I see there is that he’s a poor student). However, Ginta’s a dreamer. He’s had the same dream 102 times. In this dream, he’s the hero of a fantasy land with all sorts of qualities he lacks in the real world. Then, one day a strange figure appears at his school. He opens a gate to the other world and charges in headfirst. In this world, he’s fast and strong and can see without his glasses. The first person he meets other than some talking rocks is a witch named Dorothy (as you can see, this manga takes a liberal approach to what it terms a fairy tale, like much of pop culture). He gets involved with Dorothy’s attempt to gain a powerful weapon called an ARM (again, there’s that umlaut, so I guess it’s pronounced air-m). 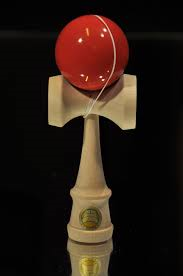 The weapon turns out to be a living, talking iron ball type thing that looks like a kendama. Anyway, the kedama ARM is named Babbo and sees himself as quite a gentleman. Also, it seems Ginta is the only person who’s actually strong enough to wield Babbo. From there, we have the start of Ginta and Babbo’s adventures. There are other fairy tale-ish things that pop up. He gains a companion in a farm boy named Jack. He defeats some Big, Bad Werewolves. He rescues Princess Snow. He finds out there are some enemies called the Chess Pieces (I’m guessing that one’s a Through the Looking Glass reference). However, the truth is that much of the fairy tale stuff is pretty much just window dressing. I feel like they could have omitted or changed a lot of that stuff and it wouldn’t have affected the story much. Don’t get me wrong, it’s not bad as far as shonen battle manga goes. It actually gets much better after the first volume. However, the familiar tropes, themes and stock characters of the fairy tale are much less prevalent than the familiar tropes, themes and stock characters of shonen action manga. There’s the villainous organization (Chess Pieces), the overly enthusiastic hero (Ginta), the sweet girl (Princess Snow), the comical side character (Jack), the big end goal (find the ARMs), the dark secret (Babbo may have once belonged to the villain) as well as a mentor character, training scenes, lots of fighting and fury as well as the general desire by the protagonists to “get stronger”. None of this is really bad. It just makes it a lot more like a general shonen manga in a fairy tale skin. If that interests you, than give MAR a try providing you can find it. There are few things I like more than discovering and recommending folk and fairy tales that break the rules. Or, at least, break what people think are the rules. You see, many people have this set of expectations for how fairy tales are supposed to go based on what they see in the media. 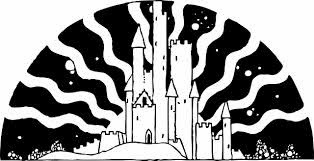 Such fairy tale “rules” are as follows: 1) All princesses and princes are good, 2) Princesses get rescued by princes, 3) Step-families are always trouble and 4) True love’s kiss dispels all sorts of enchantments, among others. You know the sort of thing. Would it surprise you that folklorists and fairy tale fans have all sorts of different guidelines and earmarks by which to recognize a fairy tale? Well, I’ll get to those another time. First I want to showcase a tale that breaks three of those supposed rules. The story is entitled “Kate Crackernuts”. The earliest version of this story was collected on one of the Orkney Islands off the coast of Scotland. 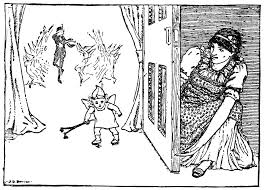 It then made it’s way into one of Andrew Lang’s colored Fairy Books and was later included in Joseph Jacobs’s English Fairy Tales (Jacobs wasn’t overly picky about how “English” his English fairy tales were). The story starts with a blended royal family. There’s a queen with a daughter named Kate and a king with a daughter named Anne. Now, as these things usually go, the queen starts to worry that Anne is prettier than her own daughter Kate. So, she enlists the help of a henwife who knows magic. The henwife tells the queen to send Anne to her, but she must be fasting for her magic to work (who knew magic had the same requirements as getting blood drawn?). So, the queen sends Anne out to the henwife under the pretense of getting some eggs. The first time, it doesn’t work because she takes a crust of bread with her and eats it as she goes. The second time, it also doesn’t work because she comes on some commoners picking peas and takes a handful and eats them along the way. The third time, the queen goes with her to make sure she doesn’t eat anything. When she gets there, she lifts the lid off the henwife’s pot and walks away with a sheep’s head instead of her own. Actually, there’s some rather interesting phrasing of it in Jacobs’s book. He wrote: “off falls her own pretty head, and on jumps a sheep’s head”. Now tell me that visual won’t stick with you for the rest of the day! Now, here comes the interesting part. If Kate were the stepsister of someone like Cinderella, she would have been overjoyed that her pretty stepsister now had a sheep’s head. She’d probably even come up with a nickname for her like Ewe-Face or Woolhead. Instead, Kate took a fine linen cloth and wrapped it around Anne’s head to hide her features and decided it was time for the both of them to get the hell out of there. And that, my friends, is how the “wicked stepsister rule” gets broken. The two travel on until they find their way to a castle. It turns out that it’s a king’s castle. What’s more, it turns out that one of the king’s sons is sick and no one can figure out what’s wrong with him. Also, anyone who sits up with the sick prince disappears. Now, Kate’s a brave girl and after she and her “sick sister” get settled in as the king’s guests, volunteers to stay up with the sick prince. Now, Kate’s sitting up and all is well until the stroke of midnight. At that point, the prince rose, dressed himself and left. He went to the stable where he saddled his horse, called to his hound and rode off. Naturally, Kate followed him. She even jumped up on the horse behind him. Now, as they rode, Kate started to pluck nuts from the trees around them (which leads to the title of the story). They rode until they got to a green hill, where the prince said “Open, open, green hill, and let the young prince in with his horse and his hound”. Kate would add in “and his lady him behind”. Then, the green hill opened up and they passed inside. And that’s where I’ll leave you. Yes, I know I usually stop my plot synopses at a later point for Folk Tale Secret Stash, but this just feels like the perfect stopping point. You can read the rest of the story HERE. I will tell you that the rest of it includes some eavesdropping on fairies, more good step-sistering and a princess working to un-enchant a prince. That last bit actually serves to break both fake rule #2 and fake rule #4 of the ones I listed above. I would like to talk for a minute or two about why this particular tale that breaks so many of Hollywood’s rules may not have been noticed by Hollywood. Granted, it’s not the only one, but it serves as a good test case. This is especially notable as we see Hollywood and certain animation companies (:cough: Disney :cough: ) seemingly work overtime to break the rules they created. Heck, between Frozen and Big Hero Six, Disney seems particularly interested in sibling relationships. So, why not a story about a positive step-sister relationship? Well, Hollywood’s requirements often go beyond a simple list of “fairy tale rules” like the ones I listed above. For one thing, there’s the issue of structure. Hollywood movies usually use a three act structure. Despite how European fairy tales often use cycles of three, they don’t necessarily use that structure over the course of the whole story. In fact, this story like many others could almost be two stories from a TV or movie perspective. The bit with Anne and the sheep’s head would be one and the part after Kate and Anne get to the king’s palace could be another. Also, most Hollywood versions of fairy tales are generally thought to need a clear antagonist. Fairy tales often don’t need a clear antagonist as much as they need a bad situation that must be overcome. In this story, the closest thing to an antagonist would be Kate’s mother who got Anne sheep-headed. Expanding her part into the second half of the story would be difficult. I imagine adapting this story would take a fair bit of rewriting (like they did to get Frozen out of "The Snow Queen"). Folk tales like this one often came from a tradition of storytelling that had a whole different set of rules that existed before the rules of mass market storytelling were even written. They broke the rules before there were even rules to break. Still, it’s a pretty great story to read or tell aloud. Any thoughts or ideas regarding “Kate Crackernuts” or Hollywood “fairy tale rules”, post in the comments below.